Stars of new big-screen animated adventure THE LEGO® MOVIE 2 opened a unique LEGO Cafe today, as a pop-up hopes to show London that, actually, Everything is Awesome. THE COFFEE CHAIN, inspired by the cafe featured in THE LEGO® MOVIE films, was opened by voice cast Chris Pratt (Emmet), Elizabeth Banks (Lucy) and Tiffany Haddish (Queen Watevra Wa’Nabi) at Observation Point on London’s South Bank today ahead of the release of the highly anticipated sequel on Friday 8th February. 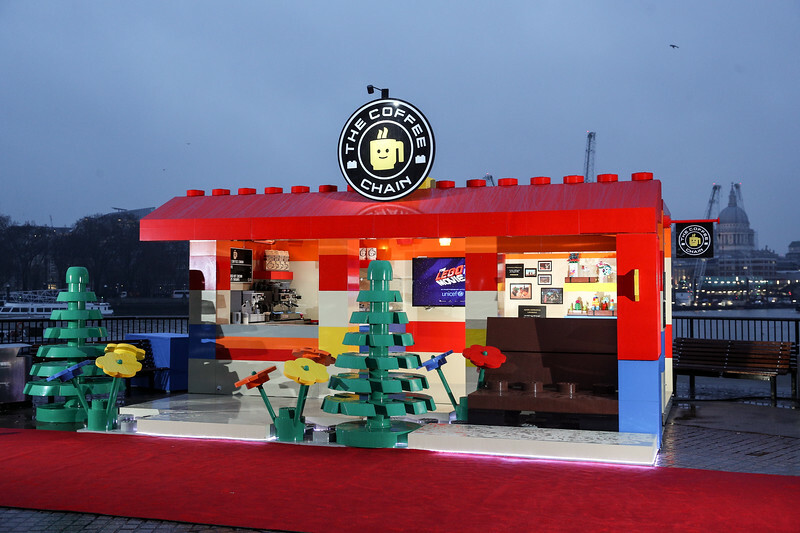 Coffee Chain is serving free beverages for two days, celebrating the release of THE LEGO® MOVIE 2 in UK cinemas on Friday 8th February.